The Festival of South Asia creates a window into the East to celebrate and experience the culture and cuisine of South Asia. 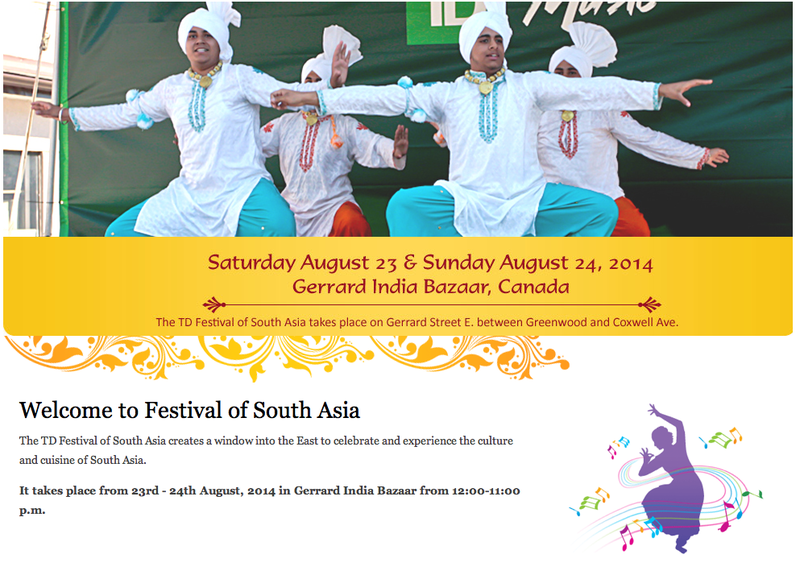 It takes place from 23rd – 24th August, 2014 in Gerrard India Bazaar from 12:00-11:00 p.m. This entry was posted in Ashdale Village / Little India, Gerrard Street East, Event on August 19, 2014 by The Ashbridge's neighbourhood. 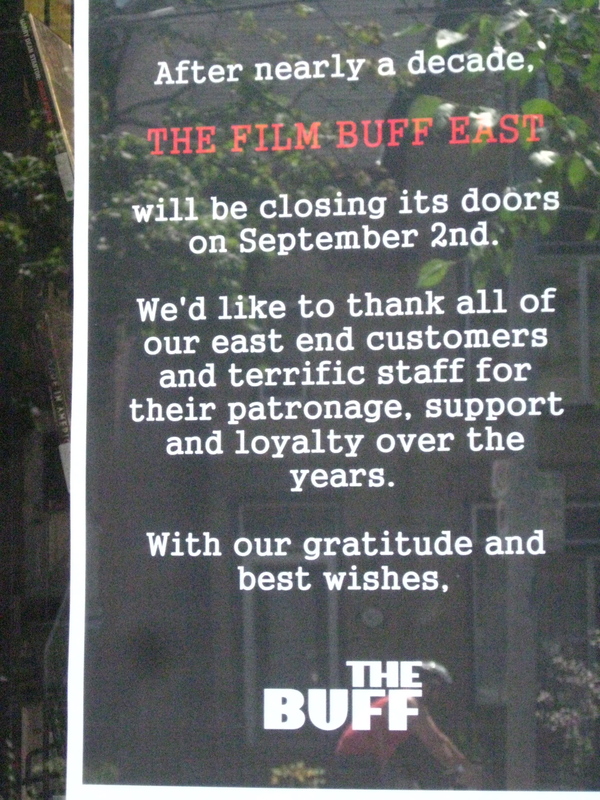 “After nearly a decade, the Film Buff East will be closing its doors on September 2nd. We’d like to thank all of our east end customers and terrific staff for their patronage, support and loyalty over the years. Another community gathering spot goes down. This time is different than the Red Rocket or Voulez-Vous, however. It’s not a jump in rent, in fact the manager tells me the landlord has been very supportive. It’s “just not viable any more.” They have tried, but in the face of Netflix (and others?) it’s a downward slide. Just not getting the business they used to enjoy. So the last DVD rental place standing east of the Don will stand no more. Thanks for the near-decade to everyone at the Film Buff. Still time for a few ice cream cones and some Kurosawa. Or Slings and Arrows. Or any one of hundreds of interesting films. This entry was posted in Ashbridge's neighbourhood businesses, Queen Street on August 9, 2014 by The Ashbridge's neighbourhood.